Aug 6-8 2018 – Cancer Stem Cell Conference 2018 in Cleveland, Ohio. This is the third meeting series of this biannual event. 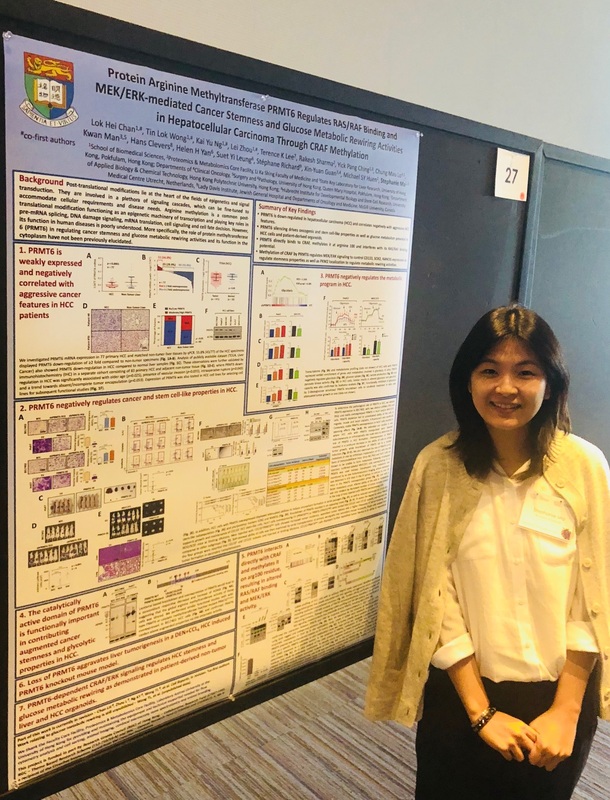 Stephanie presented the team’s work on PRMT6 and its effect through post-translational modification via arginine methylation in the context of liver cancer. Great catching up with Jack our former PhD graduate in NYC! Thanks for coming out all the way from Connecticut. 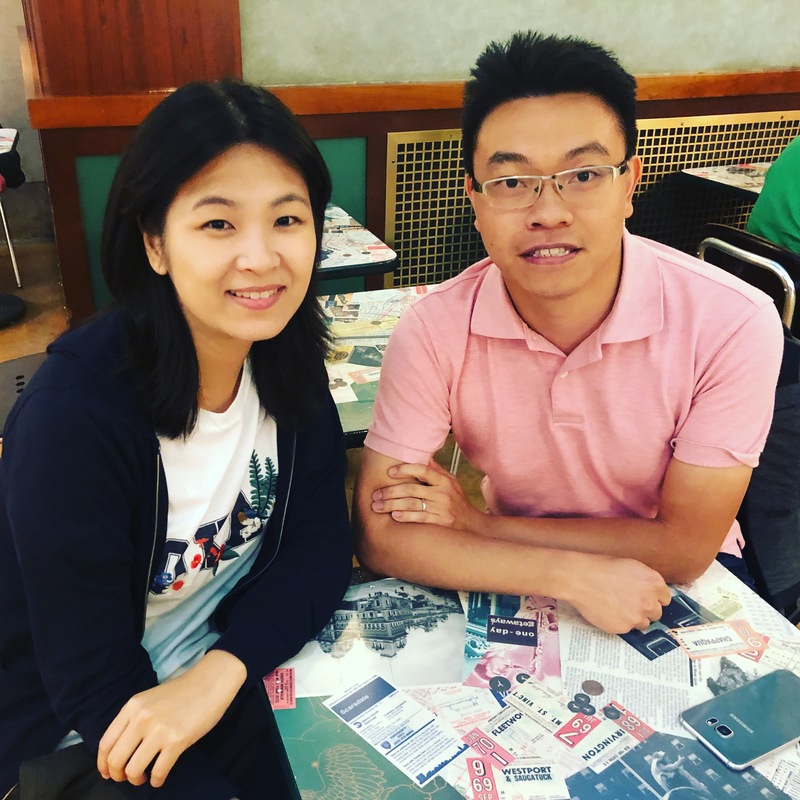 All the best to your research at Yale! In the blink of an eye, 11 years have gone by since my PhD studies at HKU. Thank you HKU Graduate School for the interview. 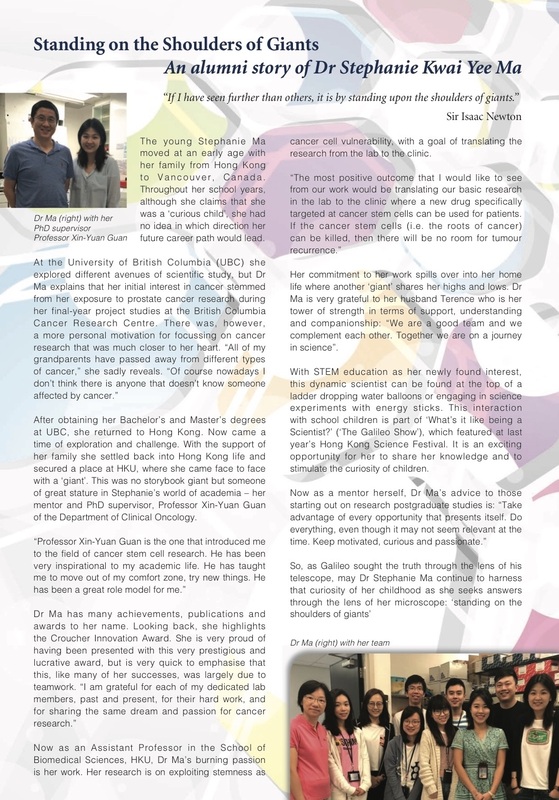 The article is included as part of the August 2018 issue of the HKU Graduate School Newsletter.